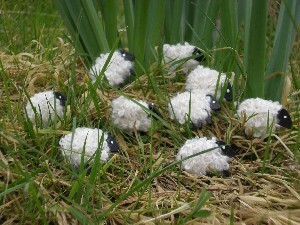 Cute Little Sheep Gifts – Made in Ireland………Keen to Travel..
LizzyC Sheep are handmade in Ireland by Handweaver Liz Christy. These little Irish gifts come in brooch pins, key chains and fridge magnets. Available to purchase directly from www.lizchristy.com LizzyC Sheep have ‘jumped over the fence too’ and are now available to purchase from www.swallowyarnbarn.com These girls are very keen to travel…..